One of the most common mistakes customers make. Is to think that audio reel to reel tape is cine film. What is reel to reel audio tape? Picture above showing audio reel to reel tape on our Ferrograph Logic 7 deck. It is easy to understand how this happens. 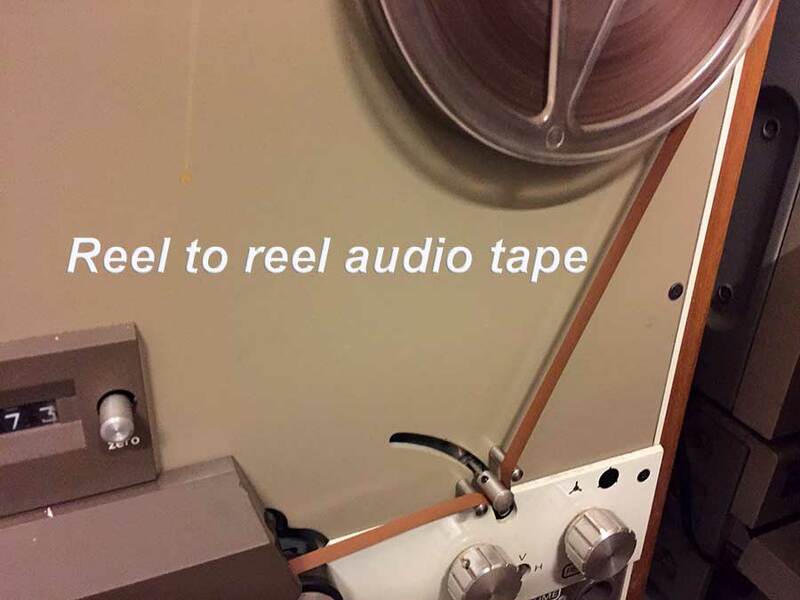 Reel to reel audio tape has the same dimensions as 8mm cine film. The main difference is reel to reel audio tape is that its magnetic tape. This is used for recording audio and not pictures. 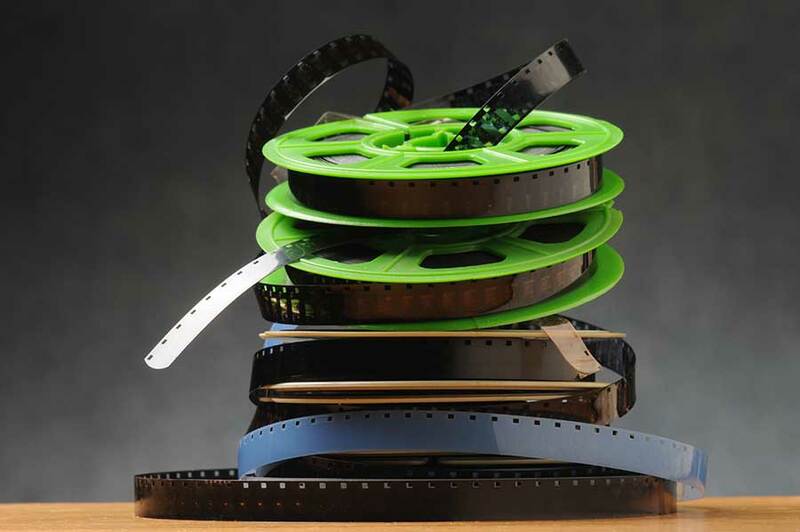 Picture above showing standard 8mm cine films. With 8mm cine film whether it is super 8 or standard 8 film. There are lots of picture frames contained within the film. The 8mm film is played back at 18 frames per second to create the illusion of movement. Cine film also has sprocket holes down one side of the film. The easy way to check if its film is that there will be little holes down one side of the film called sprocket holes. Also if you are unsure about which format you have. Pull out some of the film or tape and hold it up to a light. If it has pictures on then it is film. If on the other hand the tape is brown or dark grey it is audio tape. One thing to remember with cine film is that it has a leader. (This a white piece of film used at the start of a reel.) Then you will have to pull the film out until you see pictures on the frames. If you have any questions regards your video production needs or old media formats. Such as audio cassette tapes, VHS video tapes, reel to reel audio tapes or 8mm and 16mm cine films then please contact us .